May 16, 2019. Arrival at Sofia airport. Our guide will meet you and assist for a transfer to hotel. Check in. After a short break for refreshment at hotel - sightseeing tour of Sofia, a city with 7000-year long history, including a visit to the impressive Alexander Nevski memorial Cathedral. Tour proceeds with panoramic sightseeing of the University, the National Assembly, the Banya Bashi Mosque, the Rotunda of St. George, Roman ruins, National Palace of Culture. Evening at leisure to overcome the jet lag. Accommodation in Sofia at Hotel Niky, 3*, or similar as centrally located. May 17, 2019. Following breakfast, you will drive east, to the Rose Valley. The Rose Valley includes Karlovo and Kazanlak fields, as well as some parts of the Nova Zagora fields. The Total area is about 3,300 square kilometers. Today you will visit 2 distilleries. Your first professional meeting will take place in Mirkovo. Meet the local producers for a short discussion on quality of the rose oils, produced in Bulgaria. Drive on to the village of Tarnicheni, close to Kalofer. Visit the local distillery and attend a lecture on rose water and rose oil distillation. Visit the local distillery and attend a lecture on rose water and rose oil distillation. Meet the local experts and discover the secrets of producing the best quality rose oil in the world. The industry standards were set by the Bulgarian producers centuries ago. Proceed to Hisarya. Check in, and then enjoy a walking tour of this ancient city. The Romans conquered the Ancient Thrace in 46 A.D. Attracted by the hot mineral springs in the area; the Roman troops founded a large settlement here. In 293, the Emperor Diocletian gave it the status of a town and that was the beginning of its fortification. For its well-preserved and genuine fortification system and architecture, the Roman town of Diocletianopolis occupies one of the first positions in Europe and it can rightfully be called a town of the Roman emperors. Dinner and overnight in Hisarya. B,D, Accommodation in a 3* hotel or similar. May 18, 2019. 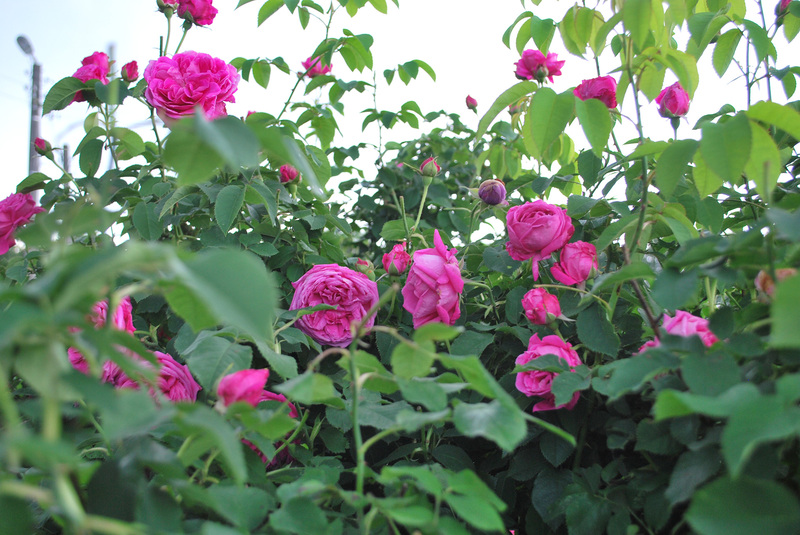 Early morning: Visit the rose fields - you will participate in a rose picking in the rose fields of Karlovo. 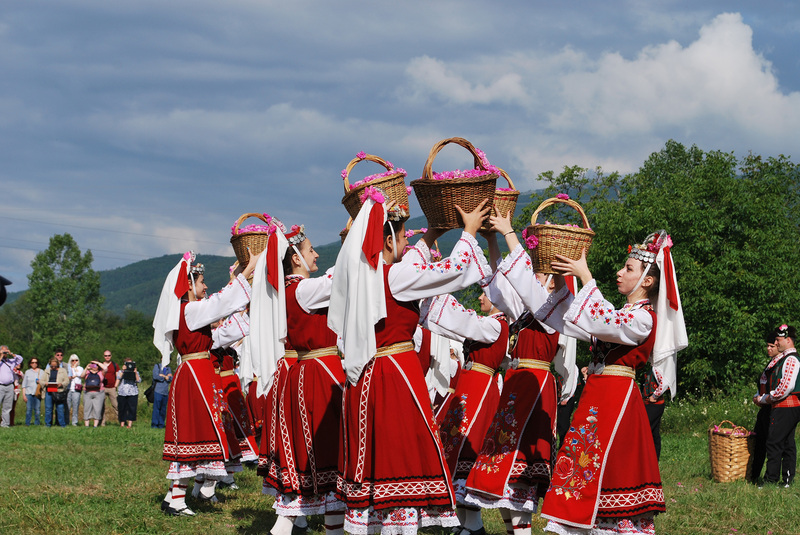 Proceed to the main square of Karlovo and attend the street parade and Rose Festival celebrations. 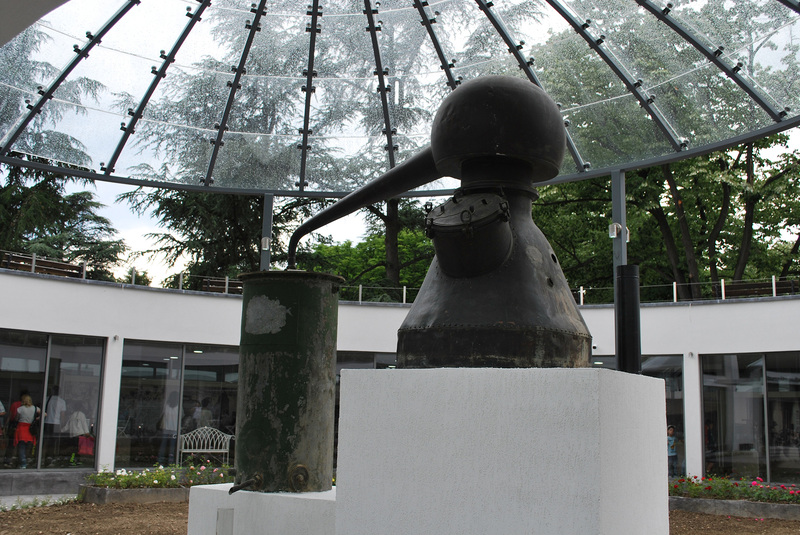 Once the celebrations in the main square are over, you will attend a rose oil distillation demonstration at the local History museum. Visit the “Old Karlovo” complex with beautiful old houses, turned into art workshops and galleries of old and modern arts and crafts. Drive on to Kazanlak in the afternoon. Kazanlak is the main city in the Rose Valley. Here you will have another professional appointment, meeting with rose-oil producers and distillery owners. Late afternoon departure to Plovdiv (1,5 hrs. drive). Bulgaria’s second ranking town, Plovdiv, is a worthy rival to Sofia. It is one of the oldest and most colourful towns in Bulgaria. No one can tell exactly when the foundation stone was laid here, although it must have been over 5000 years ago. Old Plovdiv on Trimontium hill is the centre of Bulgarian national revival architecture at its height. B, Accommodation in Plovdiv at a 3* hotel Dafi, or similar. May 19, 2019. Following breakfast, you will enjoy a morning sightseeing tour, including a visit to the Old Town, the 2000yrs old Roman Theatre; the Byzantine and mediaeval fortifications, the 15th century mosque. Walk along the narrow cobbled streets and admire the silence and tranquility of this historic town. In the afternoon - departure to Sofia, a 2-hrs drop-off transfer to Sofia airport, where tour ends. Date Format: Day/Month/Year. End Date automatically shows based on Tour. Price Per Person. For larger groups with 9 persons or more, please contact us. Please advise flight details so we could meet you at the airport upon arrival.